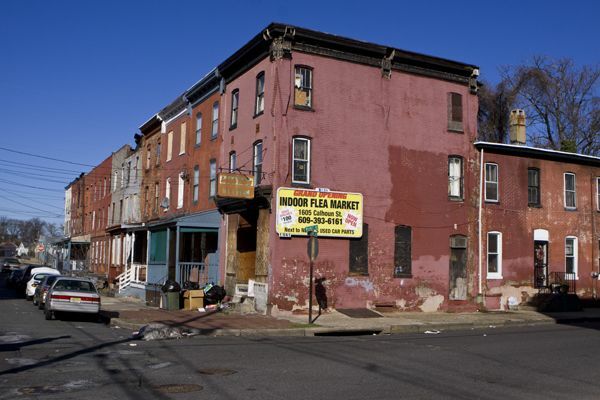 Trenton, NJ – food deserts, deep poverty, violence, lack of safe and accessible local parks, disproportionate environmental health risks, lack of trees & open space. Mike was the quarterback of the Keep It Green Campaign, the ones who stole public State Parks funds to keep the elite backyards in Morris County green and free of the urban riffraff. Perhaps readers should be told that some of the scenes in this “NJ history” video were propaganda ads used in a $1 million political campaign to dupe NJ voters about Open Space Ballot Question #2. More about that in a moment. But how does NJ Spotlight feel, journalistically, about using recycled Keep It Green PR ad campaign buys as “history”? And using the “open space” video at exactly the moment there is a controversial debate about open space funding? In other words, presenting political propaganda as history to unknowing readers and viewers? Mike compromises everything he touches. The Spotlight article and video are a perfect illustration of just about all that’s wrong in contemporary politics, journalism, and what parades under the banner of the corporate and Foundation fueled elite and inbred circle called the “environmental” or “conservation” community. I am sick and tired of the selfish and greedy propaganda to promote narrow elite interests. The history depicted in this video includes places created by elite NY JP Morgan bankers – and the current properties of self interested Foundations that funded the film, whose interests are not disclosed, another feature of the inbred crew of Foundations, conservation groups, & videographers. And for the locavores and gourmet’s over at Greener NJ, working on their “Fresh” “farmers markets” in upscale West Windsor and their recipes for roasted eggplant salad and potato gnocchi, take a look at the photo above. That is what a food desert looks like. For additional photos, see this Earth Week 2010 post: Clean Communities Cover. It will be interesting if urban Democrats finally realize the culture and politics that the open space crew represents – all while diverting resources from their communities to the backyards of the elites. Perhaps the class and race warfare embedded in the Open Space program will finally dawn on them, and they will do something about it.